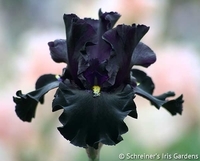 The Schreiner family have been breeding iris since 1925, when our founder and grandfather, F.X. Schreiner, started the family business in his small garden plot back in Minnesota. 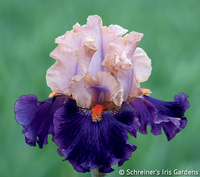 Originally known for our blue iris, you'll find that we have expanded our hybridizing color palette to encompass the breadth of the rainbow. 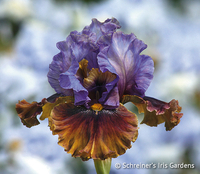 Each year we introduce more than a dozen varieties of tall bearded iris sought by gardeners and collectors worldwide. We carefully select those seedlings which display superior growing habits, form and color combination over the course of several years. Featured below are the seedlings that the Schreiner family has introduced in recent years.